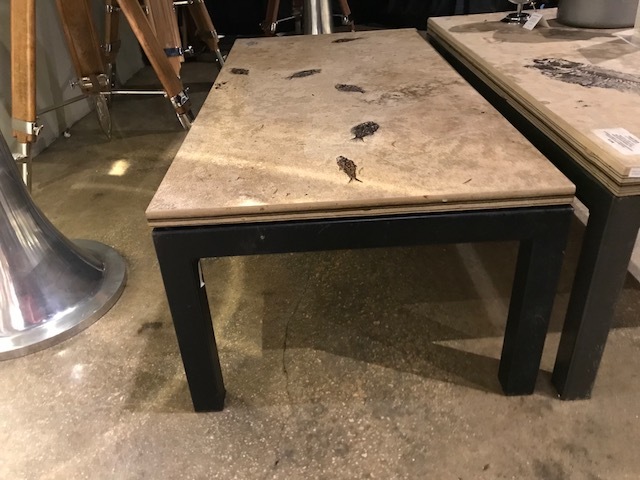 This coffee table contains five 5″ Priscacara liops and a 5″ Knightia eocaena. 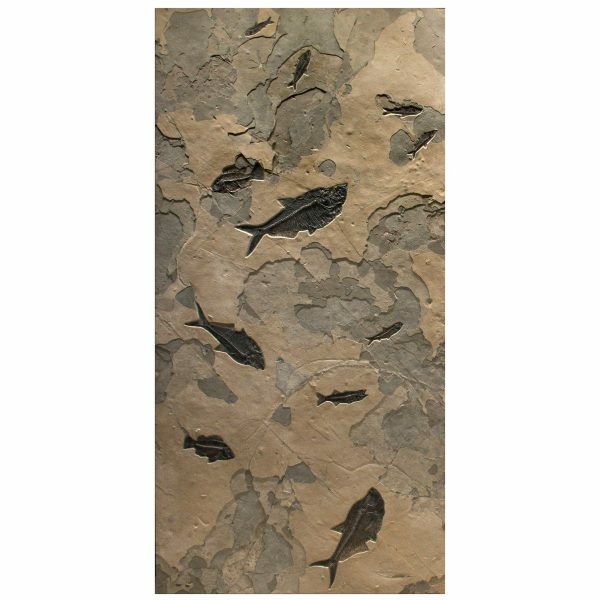 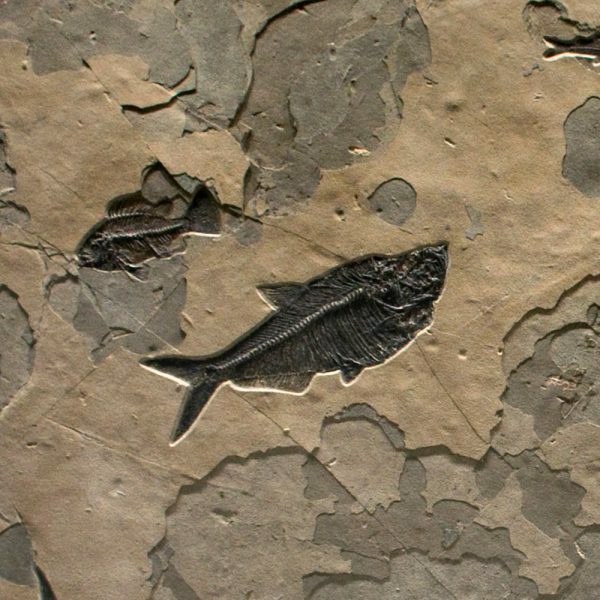 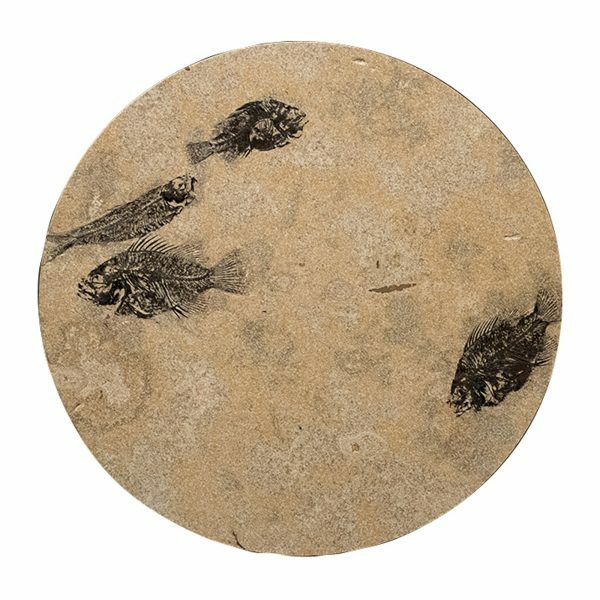 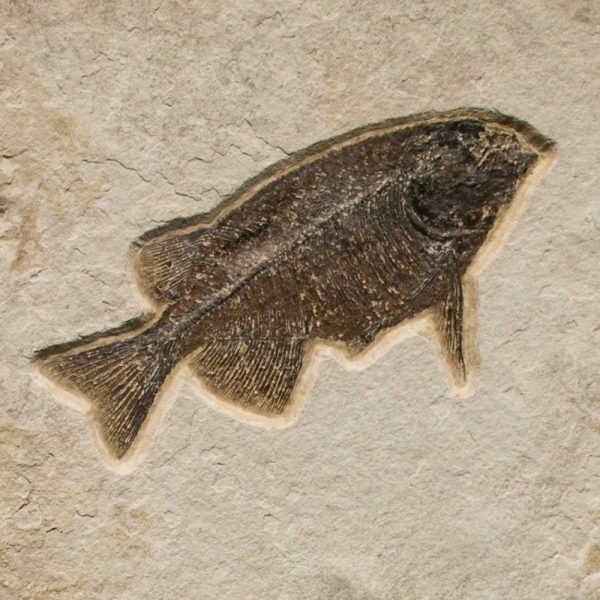 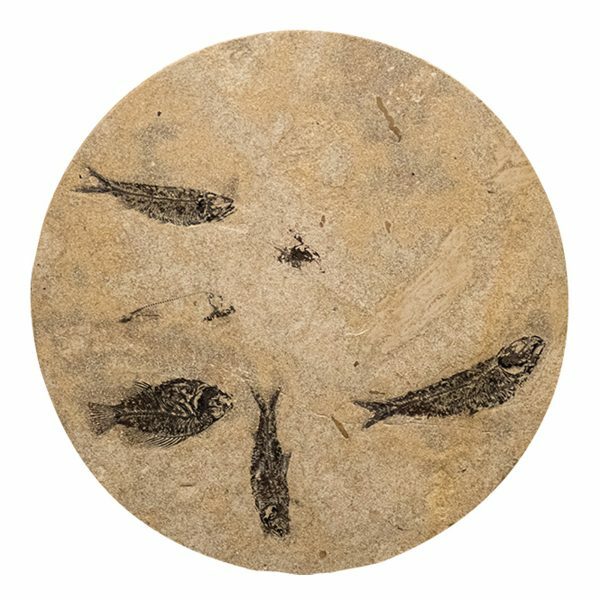 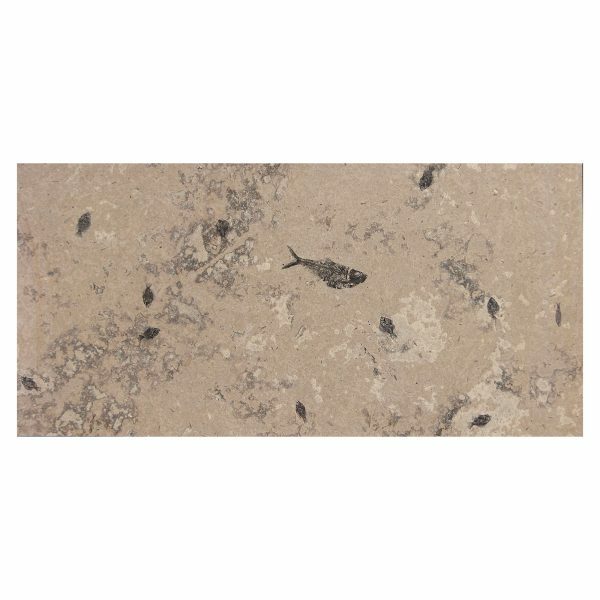 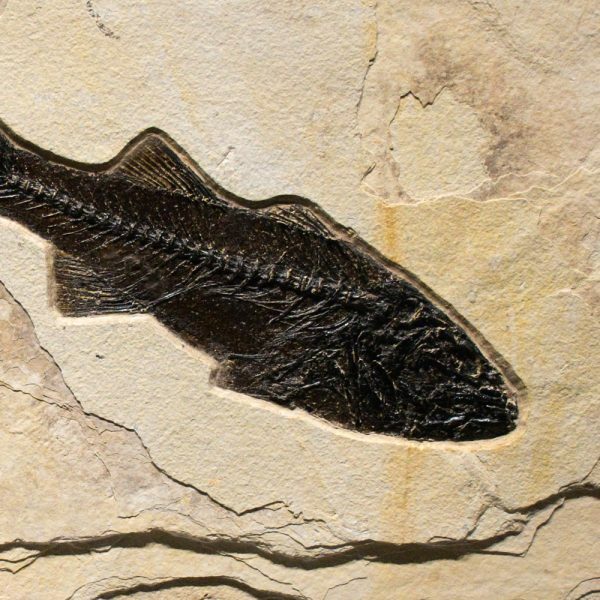 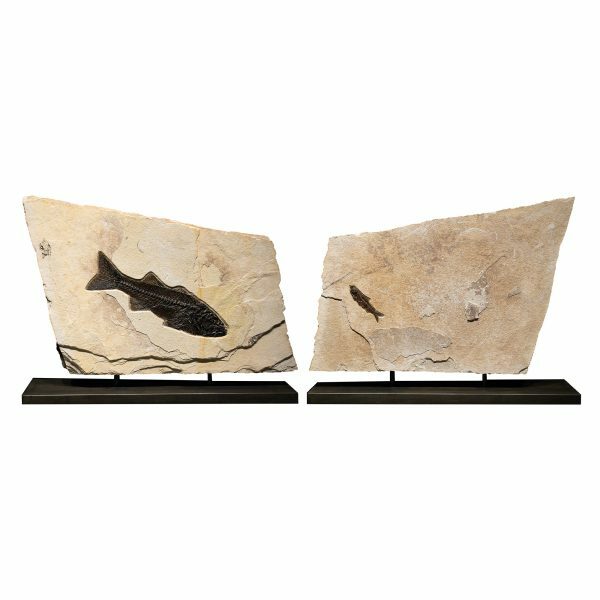 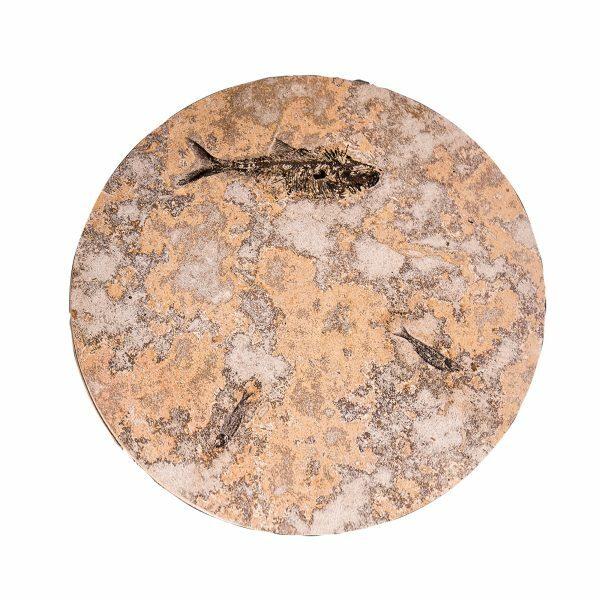 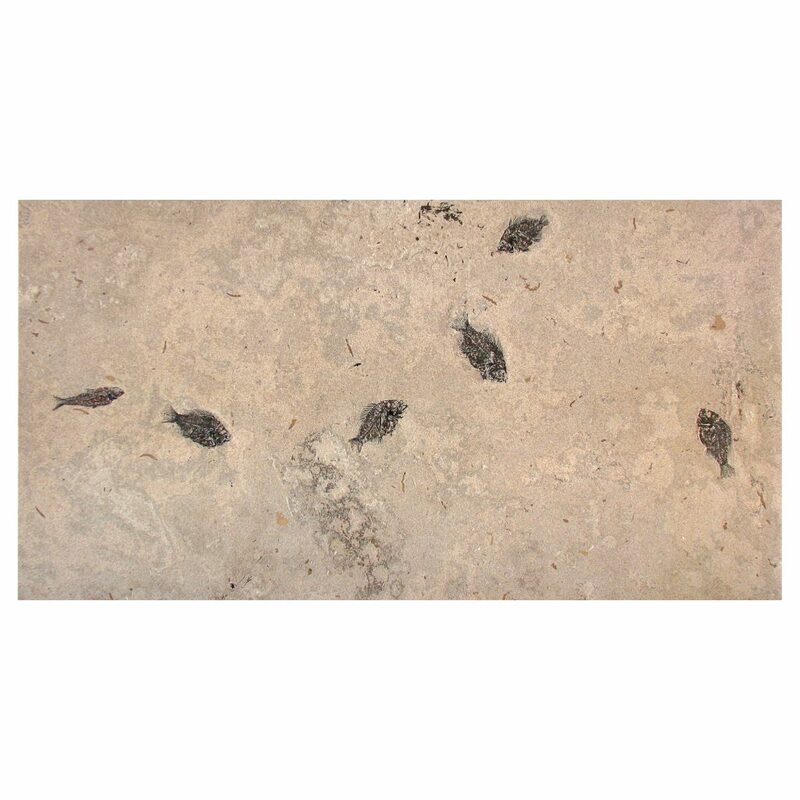 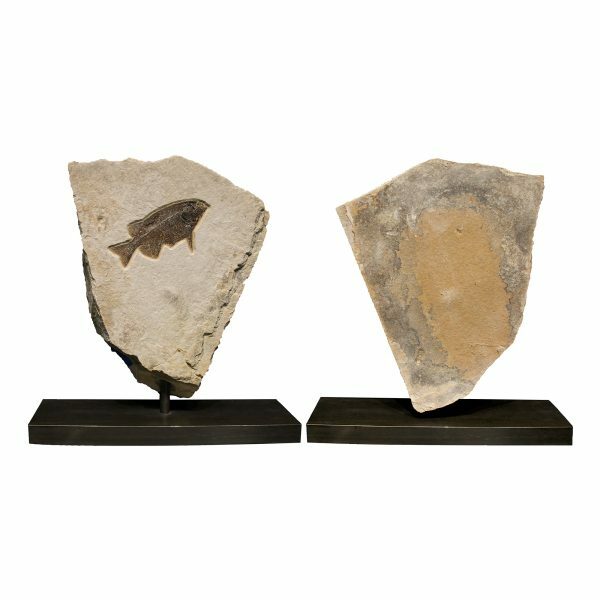 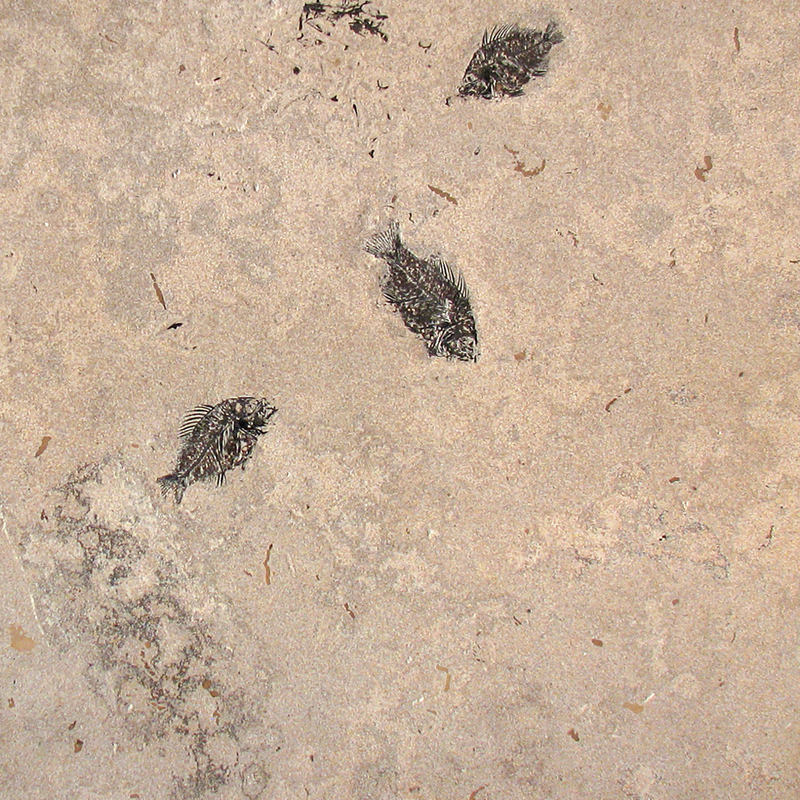 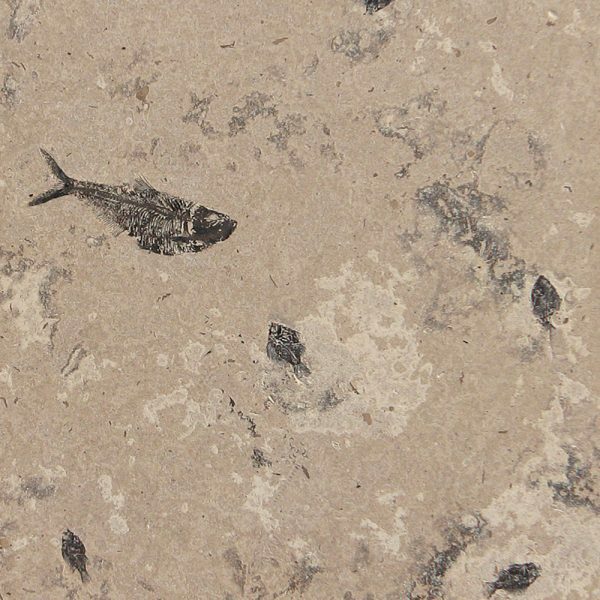 A spectacular setting of Eocene fossils, this fossil table includes five 5” Priscacara, and a 5” Knightia. 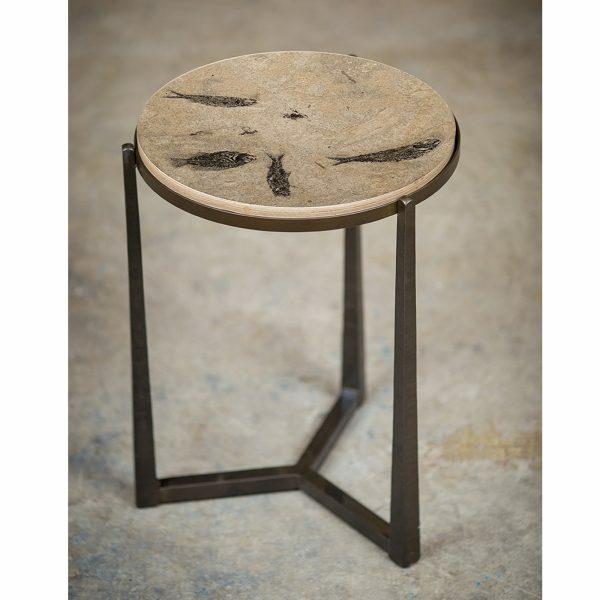 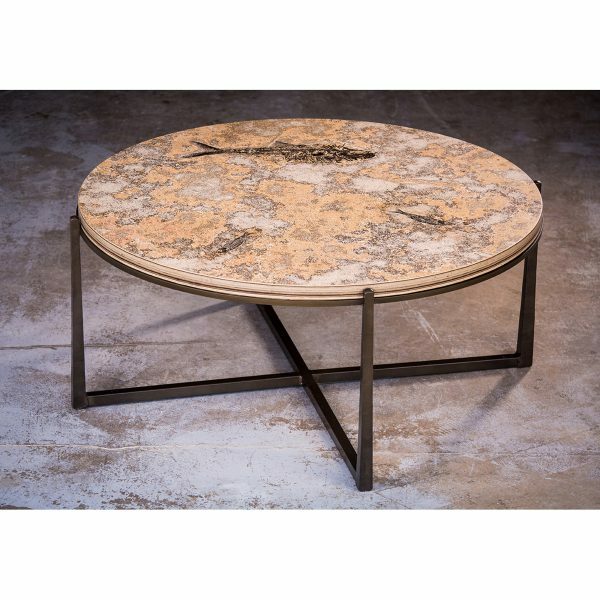 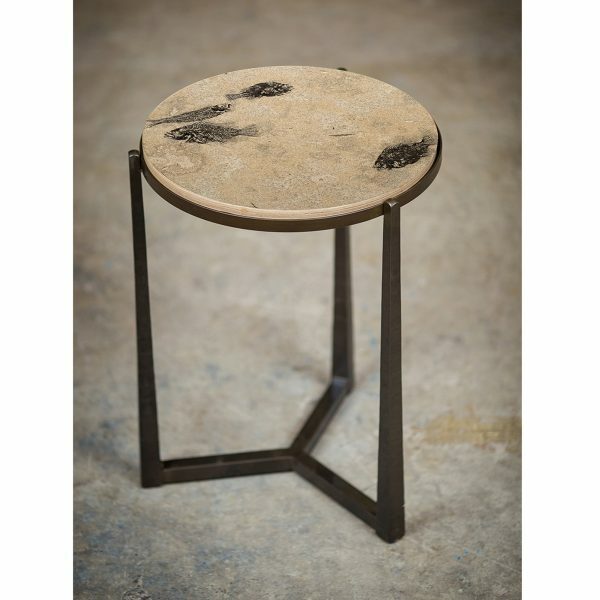 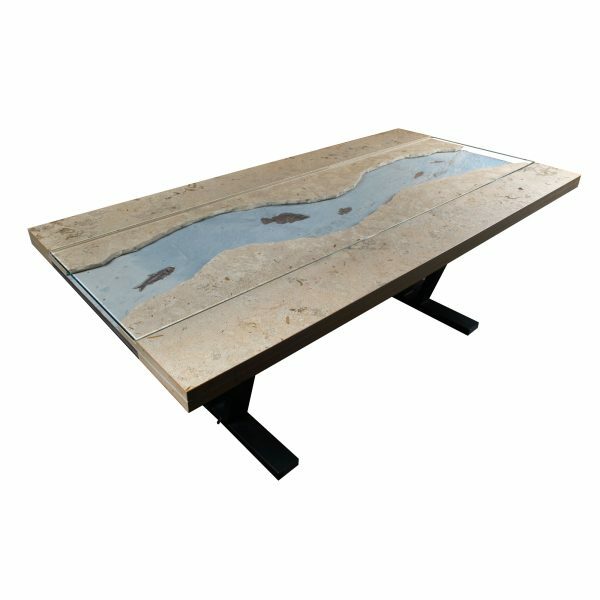 The tabletop has been hand polished multiple times to bring out the richness of its color, depth, and patina, and a sealer hand-applied to protect the stone from staining.